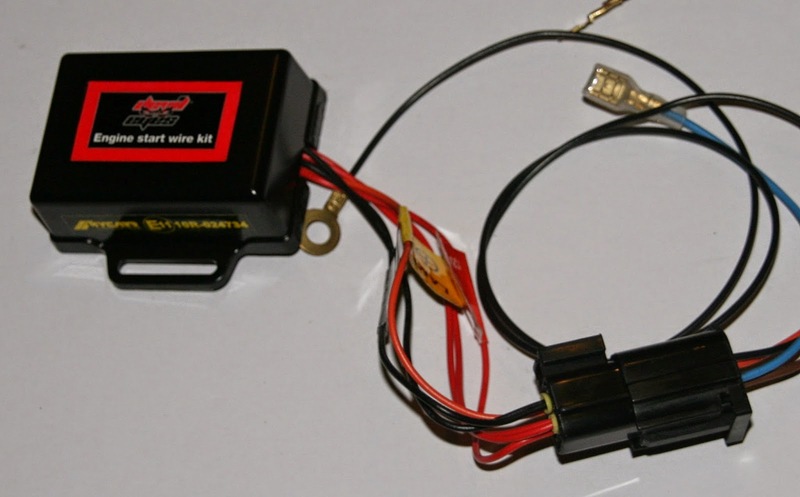 I've started to wire up my Daytime Running Lamps (DRL) connectors. I'm using Econoseal waterproof connectors at the lamp end because they are likely to spend time underwater. It is a Land Rover submarine after all. 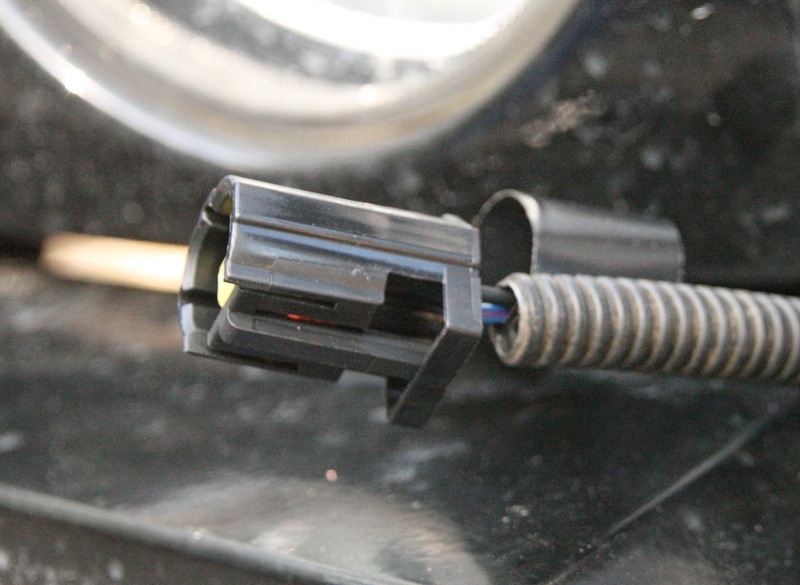 Econoseal is the same connector used by Land Rover on the Discovery 2 for the reversing light switch and for the factory fitted spot lights. I am also using a 4 way version to connect the DRL switching circuit neatly to the rest of the loom near the fuse box. 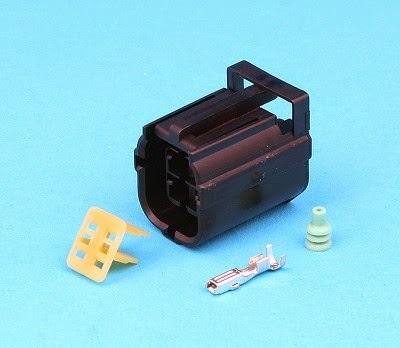 The connectors look neat and I have found them available individually at reasonable prices. I searched on the Internet for fitting instructions and I initially only found another blog, the product brochure and some generic instructions. Even the product brochure does not have any instructions. 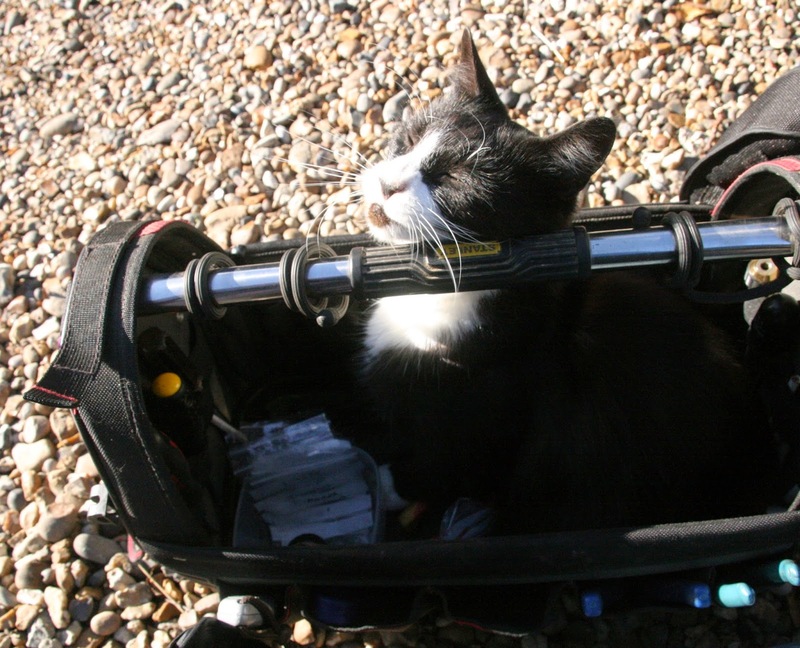 The motorcycle enthusiasts blog was useful and pointed me in the right direction. Eventually I found some ancient type writer style instructions from 1999 but are the current, 2014, up to date instructions! I did not read the instructions until after I had done the first connector. I got most of the assembly right but the water resistant bung should have been crimped along with the cable grip. I did that with the next plug I assembled. The assembly procedure is fairly straight forward. Push the water proof bung on to the cable with the long thin end pointing towards the pin. Give yourself about 2cm of cable to play with. The bungs come in different sizes for different outside diameter cables. The shop I bought from always ship with the smallest size and I bought some of the next size up as well. It's a tiny bit fiddly but fairly easy to push on by hand. Bare about 4mm of cable or on smaller cable double and fold back on itself. Push the rubber bung back up the wire up to the bared bit but not covering it at all. 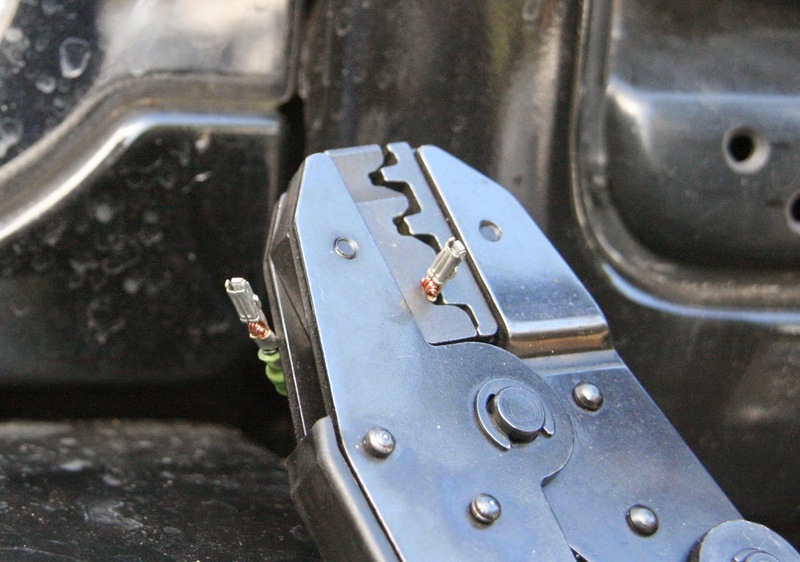 I used a generic ratchet crimping tool not designed for Econoseal. I used the non-insulated spade connector insert for the Econoseal pins. The middle size was perfect for the wire crimp but damaged the end of the rubber bung! I eventually decided to form the cable grip round the rubber seal manually with a simple crimp tool and then use the larger size crimp tool position to form the start of the cable grip. Then tidy it up using the simpler tool. It's not ideal and needs a bit of care because the pins will not fit in to the housing if it is bent too much or sticks out sideways too much. I also needed to be careful to ensure that none of the connection part of the pin was inside the ratchet crimping tool. 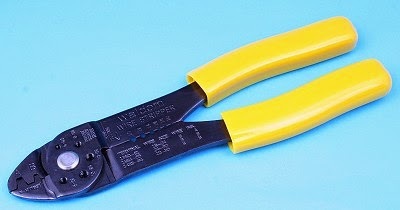 The edge of the wire crimp nearest to the connection end needed to be level with the outside of the tool to get a good crimp without damaging the contact section of the pin. I have a few more to do so I have ordered a crimping tool with the right sized formers for the job. 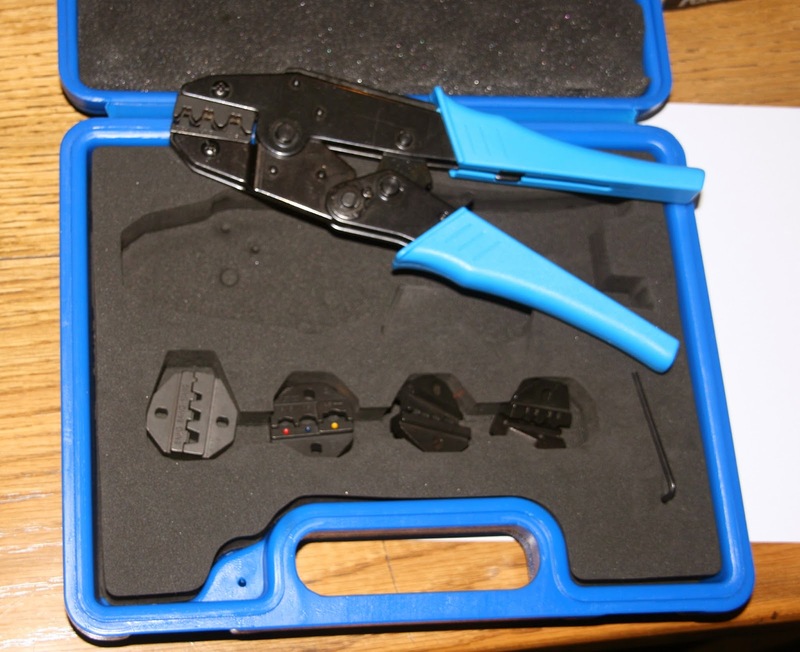 All my other low cost crimp tools were for insulated terminals which is the wrong type. 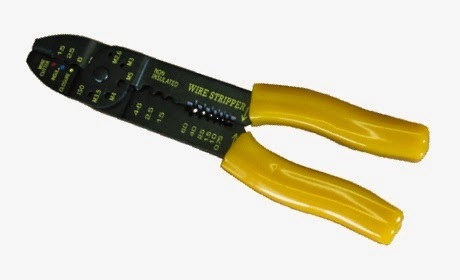 I am fairly sure that most of the low cost small non-insulated terminal crimp tools would probably be good enough for the job. 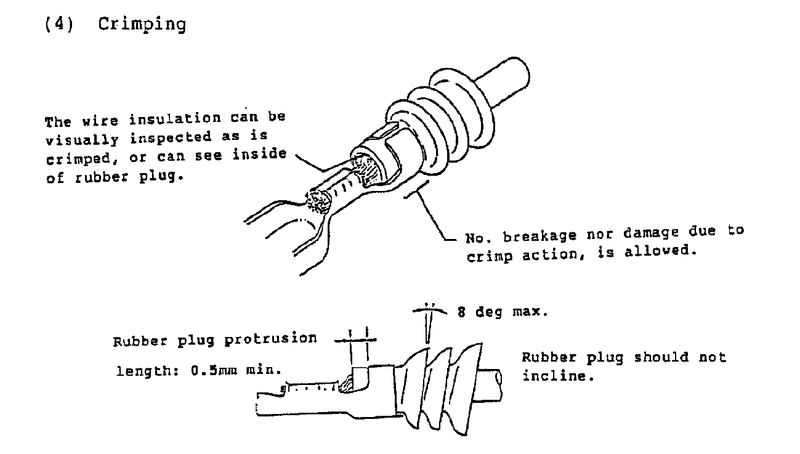 Even the wrong type I already have is just about good enough to crimp the wire in with a bit of effort but it does not form the crimp as neatly on its own as the ratchet crimp tool does with its better shape die. The pins only fit one way up in the housing. You can loosely slide them in easily but don't go too far until you are ready. If the crimp mal-forms the pin it will not fit in the housing. 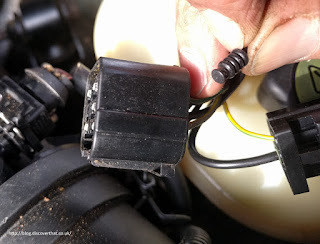 It's hard to describe but when you have a connector in you hand you can work out which way up the pin fits. When formed correctly you need very little pressure to push the pin home. You will feel a slight but obvious click. If you find you are having to force them, you probably have the pin up the wrong way. Once all the pins are in then put the yellow surround over the facing end. There is a key-way molded in so it only fits properly one way up. I had one that required a bit of wiggling but eventually it went in. I think the end result is very neat. Job done. If you need to install a blanking bung in an Econoseal connector, it only goes in one way round. Push in from the back holding the smaller end. 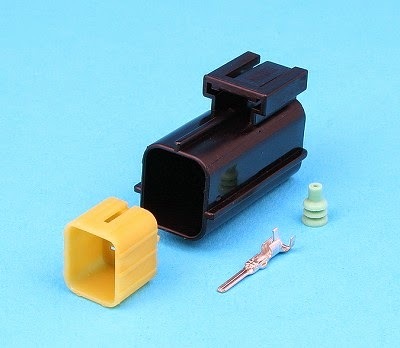 This looks like the crimp tool I used for the Econoseal connectors but I can only find it available in the US!